For reasons unknown, i have slipped lose the bicep tendon on my left side. The pain of this is considerable, and the recovery time indeterminable. i can only type with one hand, and even that is painful. all neck movement is painful. i will not be writing or answering any forum or fan questions— so please if other fans know the answers to any CoG types of things please assist any new readers for me. thank you. Some updates, changes, and possibilities. So that it for now, though i will say there’s some other stuff in the works, but i’m not going to say what until i’m sure it will happen. So hang onto your seats, folks, Way Walkers is just getting started. We’ve two types, the Stuffed Kittle (on top) and the Kittle Dolls (the gray in front). Both are customizable, so we can change colors and fabric type to suit your ideas. 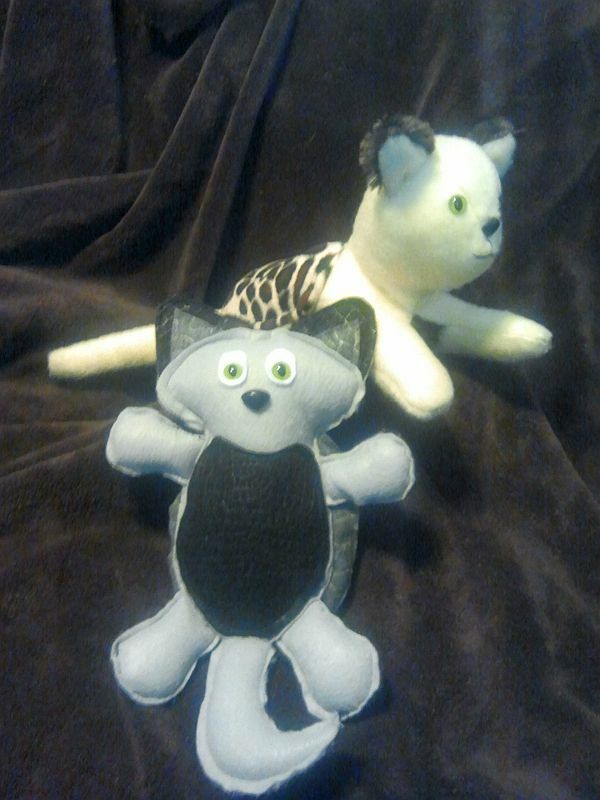 Kittle Dolls have a base price of $20 USD (PLUS shipping): this includes a stiff felt body with multiple textures for shell and belly, glass eyes and a plastic nose. Stuffed Kittles base price is $45 USD (PLUS shipping): this includes a nice high quality soft felt body, a shell of soft fabric in another color/pattern, glass eyes, a plastic nose and a stitched mouth. You can add-in additional fabrics, a soft belly, fuzzy ears and a variety of customizations at additional cost: Just ask! tell us which type, an what kids of customizations you want, as well as shipping information. once we’ve settled on the design and shipping price has been confirmed, you will pay for your kittle and production will begin. We won’t start work until payment is received–so feel free to inquire without pressure to buy. We currently only accept paypal.